As a Focuser, I would alter King’s wording slightly, because I have found that darkness is not something to be driven out; rather, it is often our embrace of darkness that allows us to feel the embrace of light. I love the theme of the Advanced and Certification Weeklong: Connections and Crossings. It is connection – inner and outer – that makes us most alive. It was that connection in the pool that left me elated: connecting inside myself with my body, with my neighbors whom I greeted poolside and swam alongside, and connection with something bigger than all the earth when I felt that sunshine upon me. Focusing, at its heart, is all about connection, and in the Weeklong, our advanced students and teachers are encouraged to remember, honor and strengthen the connections that they have already discovered, and in the course of the week, the hope is that they will discover even more. This idea of our interconnectedness is fundamental to Interactive Focusing, as developed by Janet Klein and others. In this month's newsletter, we celebrate the three recipients of the Janet Klein scholarship, who will be attending the Weeklong thanks to the generosity of people like you who help to make sure that people from many different walks of life can attend this special week. 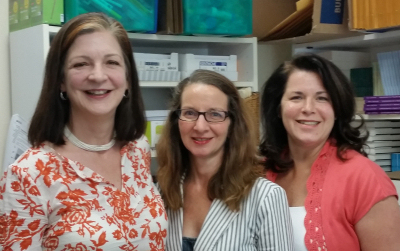 On July 9, something momentous happened in the life of The Focusing Institute. The transitional Board of Directors, which was put in place by Gene Gendlin and Mary Hendricks in December, handed over the stewardship of the Institute to a new Board of Directors. The new Board was chosen by a process of nominations from the whole Focusing community, and the outgoing Board wrote an excellent explanation of the how’s and why’s of that process, which you can read here on our website. The work that the transitional Board did was truly extraordinary, and there is a tribute to them in this newsletter. Just because a “peaceful transfer of power” has taken place, please know that the period of openness and potential for change and transformation has not passed, and hopefully never will. We have a new Executive Director (me! ), an incredible new Board and a dynamic new International Leadership Council, and we are all finding our way forward. We want and need for you to actively engage with us. Write to us, call us, CONNECT with us. We warmly embrace all of you and welcome all the light that you have to bring. This month's Focusing Conversation features Katarina Halm discussing the various ways in which she approaches Thinking In Movement. This is part of the "Conversations" series hosted by Serge Prengel. 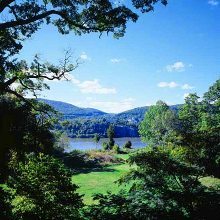 We want to celebrate with you the rich success of the Third International Conference on Focusing-Oriented Psychotherapies (May 15-18, 2014) held at Stony Point Center in New York. Many of you were THERE (a total of 125 participants from 18 countries attended)!!!!! And many of you may now be inspired to plan ahead to attend the 4th FOT Conference in two years. Committees are already forming (and you are invited to volunteer) to plan for the next conference! Imagine a conference centered around the ‘work you love most’ and imagine that every aspect of the days of learning were created so that you could live and express the core of your therapeutic work in each relational moment! This dream came true at this 3rd International Conference with the theme - THE RELATIONAL DIMENSIONS OF FOCUSING-ORIENTED THERAPY. From the moment each of us walked into Stony Point there were friendly, welcoming people, flowers, fellow focusers to help you find your room, and more friendly people lingering around ready to engage. Remember The Opening Ceremony and the bridge pictures on your nametag to guide you to your connection group. Recall the Wine and Cheese gatherings that were buzzing with fascinating conversations. Our Interfaith Shabbat was enthusiastically received and our Celebrate our Authors recognized all of our book authors over the years. We initiated Open Space – a time when spontaneous workshops and conversations happened from this relational spirit! Remember the music, our participatory Art Exhibit, and our own Talent Show! One of the amazing aspects of this conference was how (because we all are deeply grounded in felt sense living) conversations went right to the ‘felt core’ of meaning as a social basis of conversation…. These moments could be as short as a two-minute exchange and yet the profoundness of the exchange was palpable. This Conference could not have been as successful as it was without an incredibly creative, thoughtful group of people working together to uphold the high level of quality of the conference. Both the Hospitality Committee and the Program Committee lived a relational process of felt sensing our visions (at each meeting), the quality of what we want (for example quality of workshops and wine and cheese events), and then inviting each person to volunteer for what tasks inspired them. Each member expressed how fulfilling it was to work in this way. The TFI Staff, Elizabeth Cantor and Rita Kirsch worked day by day to fulfill all of the organizational details that made the conference flow and to bring their wisdom of previous conferences to many key decisions. Thank you Hospitality Committee – Helene Brenner, Cathy Cornell, Chel Ferraro, Beth Mahler, Shaun Phillips, Lillian Sober Ain; and Program Committee – Cynthia Callsen, Jude Cobb, Eileen Kaufman, Joan Lavender, Joan Klagsbrun, Jeffrey Morrison, Janet Pfunder, and Susan Rudnick. My name is Li Ming. Before my retiring I was the manager of a Japanese company in China. Now I am engaged in Buddhist meditation and Focusing. Sometimes I teach Focusing in Chinese group workshops. I wrote a paper recently about understanding Buddhist meditation, Gendlin's philosophy, Focusing and the Mindfulness practice. Focusing and Buddhist meditation are different. Focusing is usually held between two partners, Meditation is one person. Can it be possible to do Buddhist meditation in the Focusing way? I came up with “Mindfulness Dance” and have been trying this in groups and workshops. Mi nombre es Cintya Martínez, vivo en Guadalajara, México. El lunes 21 de julio cumplo 40 años, hace 10 años mi vida entonces era “perfecta”, pero…En dos meses, me separé de mi pareja, tuve un hijo, desarrollé una enfermedad crónica, no podía estar al sol ni bucear; mi vida se detuvo, cambió, pasé por los peores miedos, ser madre soltera, no bucear, estar en una silla de ruedas, sentir el enojo y frustración, todos los días. El lunes 21 de julio cumplo 40 años, estoy viva, siento la vida recorrerme, he recuperado mi cuerpo, me funciona, convivo y disfruto a mi hermoso hijo a diario, enseño buceo de nuevo y ahora además tengo la profunda alegría de compartir mi experiencia con otras personas y así acompañarnos juntos en nuestros propios caminos. Esto ha sido el Focusing para mí, no me ha cambiado mi vida, me ha cambiado la manera de vivirla. Gracias. My name is Cintya Martínez, I live in Guadalajara, México. On Monday, July 21st I’ll be 40 years. Ten years ago my life was “perfect” but…in 2 months I separated from my boyfriend, had a child, developed a chronic disease- I couldn´t be under the sun or teach diving. My life stopped, changed, went through the worst fears I had…was a single Mom, didn’t dive, being in a wheel chair… I felt only anger and frustration. Today I am alive and I can feel life in me. I recovered my body- it works. I see and enjoy my beautiful son every day. I teach diving again and now I have the great joy to share my experience with others and thus join together in our own ways. This is Focusing for me, it hasn´t change my life but certainly has changed the way of living it. Thank you. My name is Jeff Halliday (Canada). Six months into my recovery from a life of addiction I began practicing Focusing with a group in Toronto. Since then I have faced incredibly challenging life events: long-term disability, divorce, separation from my three wonderful children, losing my job and financial disaster. The good news is that I have managed through these challenges. Why? Focusing has become one of my core recovery practices. Earlier this summer I embarked on a new career - Recovery Life Coaching. I am excited to integrate the vast knowledge from the Focusing community into my recovery coaching work. We are privileged and honored to have been appointed to the Board of the Focusing Institute in its next phase of development. We are mindful of the rich legacy with which we have been temporarily entrusted to nurture and develop. It is an exciting if somewhat daunting and humbling task. So far, we have met five times and have begun posting minutes on the TFI website to make our discussions and decision-making as transparent as possible to membership. We have spent some time getting to know one another, finding a way to work together, and educating ourselves about the role and responsibilities of non-proft boards, as well as getting up to speed with some of the operational, financial and legal issues that needed immediate attention. These issues are now well in hand and reaching resolution. Our next step is to sense the next steps to bring Focusing more into the world. This is TFI's mission and we mean to see that mission fully realized. We have created an initial planning committee, including board and International Leadership Council (ILC) members, to help guide this process. Our intention is to work closely with the Executive Director, with the ILC, with the Coordinators, Trainers and Members, as well as our donors and supporters so that, together, we find supportive, creative ways to carry forward the gift of Focusing. Right now, we are in what Gene Gendlin calls "the murky zone"; that rich, knowing-not-yet-knowing place of felt sensing for the best next steps. We do know that that includes finding ways to involve as many of the people who value and love Focusing as possible so that together we form and fashion an Institute that serves our larger purpose. 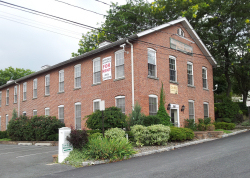 In December 2013, a complete change came over The Focusing Institute. Our Managing Director, Melinda Darer, and our co-Executive Director, Kye Nelson, both resigned. At the same time, Gene Gendlin and Mary Hendricks took the bold step of giving up their positions as Board members. Having been advised that the best way forward would be to appoint a temporary Board of Directors which would shepherd the organization into its post-Founder phase, Gene and Mary wondered whom to appoint to this temporary but key post. They were so impressed with the work that Jerry Conway, Rob Foxcroft, Nina Joy Lawrence and Robert Lee had done to organize the upcoming First International Coordinators Assembly that they asked those four to take on this daunting task. Jerry, Rob, Nina Joy and Robert were all Quakers and brought that sensibility into their work together. After meeting with Gene and Mary several times, they decided to accept the job of being a temporary Board for 200 days. The work was daunting; it was power that they had not sought, and they knew that not everyone would agree with decisions they made. However, their love for The Focusing Institute and their love of Focusing and the Felt Sense guided them. Their shared Quaker tradition gave them a template for how to run their Board meetings, and they found it a profoundly right crossing. These four were thrust into learning how to understand TFI's finances, how to hire a new Executive Director and how to plan for succession to a new Board -- while keeping the place running -- all within 200 days. As if that pressure were not enough, the great passion that so many people feel for TFI meant that many worried about which direction this transitional Board would steer the Institute. Some in the community were quite understandably concerned that the transitional Board had not been placed into their position in a way that felt democratic; this did not seem to bode well for a democratic and transparent future. About a month into their tenure, Jerry Conway chose to step aside. He had been doing yeoman's work as the new Treasurer from all the way over in England and he advised that it would be important to find a new Treasurer in New York, where the bank accounts were. Cynthia Callsen stepped into the breach and dove right in, building on Jerry's excellent work in clarifying the finances. I was hired as Executive Director in March, and began immediately to meet with the Board at their weekly (yes, weekly) meetings. I saw first hand the incredible work and dedication they brought to their task. Beyond their regular meetings, there were endless streams of phone calls and e-mails, and an awareness that the whole community was counting on them to do their job well -- both in terms of process and outcome. Their personal lives were on hold and often stressed by the amount of time they had to give to keep the organization not only functioning, but functioning well. In April, Nina Joy decided to step down for personal reasons, and this naturally raised anxiety in the community at an already anxious time. The Board decided not to replace Nina Joy, but by that time, Jane Quayle had begun attending many meetings. The dynamic on the Board was cordial, but had settled into patterns that sometimes left Board members frustrated, so Jane was asked to come and be a listener and reflector. The Board was so pleased by the effect her presence had that she was then asked to attend regularly. By adding someone whose primary role was listening and reflecting rather than deliberating, consensus seemed to be reached with more ease and efficiency. A turning point in this history was the Coordinators Assembly. At that meeting in May, for the first time, TFI's Coordinators were able to raise questions and concerns directly with this newly hired Executive Director, one current member of the transitional Board (Robert Lee) and one former member (Nina Joy Lawrence). The power of speaking and listening with openness and respect were well on display, and many anxieties seemed to be relieved. Concerns remained, but there was a greater sense that we were all in this together. Jerry, Nina Joy, Robert, Rob and Cynthia served TFI as Transitional Board members selflessly and faithfully. They bore some slings and arrows, but understood why and gracefully managed the need to balance transparency with the duty of confidentiality. We have been richly blessed by the honor, dignity and integrity with which this group of people gave of themselves at a crucial moment in our history. I hope that you will join me in heartfelt gratitude for their service. September 7, 2014 in New York City with Charlotte Howorth, LCSW. Focusing is an easily learned method of inward bodily attention that opens new possibilities and meaning that can lead to lasting change. 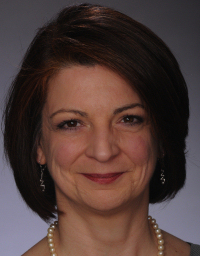 Starting in Fall 2014 in New York City with Charlotte Howorth, LCSW. For Focusing Trainers and emerging Trainers. A 4-Month Mentorship Program In Thinking At The Edge with Mentors Beatrice Blake and Evelyn Pross starting September 10, 2014. Portarlington (near Dublin) Ireland from 8th to 12th October 2014. The theme is Éist, the power of listening for our children. Éist is the Irish word for 'listen'. Full details and booking on the website. February 14 - 21, 2015. The Winter Focusing Retreat at Mar de Jade in Chacala, Mexico. Featuring teachers Mónica Gómez Galaz, Charlotte Howorth and Karen Whalen. Photos from last year's retreat. The 26th International Focusing Conference will be Wednesday July 29 to Sunday Aug. 2, 2015, with a Coordinators' meeting the day before, July 28, 2015. We will meet on the Seattle University campus. Click here for more information or to register for the Focusing Summer School! Click here for more information or to register for the Weeklong! Many of you have asked about our change of address. We have actually been in a lovely, small office in Nyack, New York since November, but we only recently switched our mailing address to get the mail here directly. So that you can get a sense of our workday home, we have included a photo. Nyack is a lovely town on the Hudson River, about 40 minutes north of Manhattan. 7/2014 June 2014 In Focus Newsletter is now on the website. 7/2014 イン・フォーカス November 2013 Japanese In Focus Newsletter including translation of Identity Restoration, Posttraumatic Growth and Cultural Connectedness by Alexis Phillips and Shaun Phillips (September 1, 2012). 6/2014 2014 Folio: FOCUSING AND...Crossings and Integrations. Now available as a free digital eFolio or as a printed version which can be purchased in the TFI store. Emerging Practice in Focusing-Oriented Psychotherapy: Innovative Theory and Applications. Edited by Greg Madison. Theory and Practice of Focusing-Oriented Psychotherapy: Beyond the Talking Cure. Edited by Greg Madison. Foreword by Eugene Gendlin. Mindfulness and the Arts Therapies: Theory and Practice. 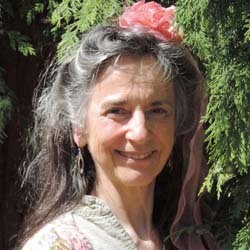 Edited by Laury Rappaport, Ph.D. Foreword by Jakusho Kwong-roshi. Inner Dialogue In Daily Life: Contemporary Approaches to Personal and Professional Development in Psychotherapy. Edited by Charles Eigen with a chapter by Joan Klagsbrun, Ph.D., Certified Focusing Professional, "Eugene Gendlin: River of Knowing; A Journey with Focusing." Defining Moments for Therapists. Edited by Serge Prengel and Lynn Somerstein. 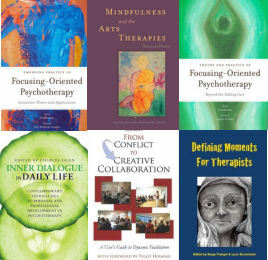 6/2014 Publications on Focusing-Oriented Psychotherapy: 2011-2014. Compiled by Doralee Grindler Katonah. This and other bibliographies can be found on our bibliography index page. 6/2014 Connections and Crossings Across Cultures: Advanced and Certification Weeklong on September 26-October 2, 2014 at the Garrison Institute in New York. Hear the new podcasts from the teachers moderated by Susan Lennox. 6/2014 Focusing and Jewish Spirituality This online discussion group is open to all who are interested in using Focusing to deepen their experience of Jewish spirituality, practice, and thought. Questions and comments welcome. To join the list, click here.